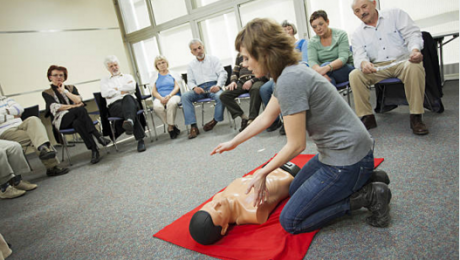 It can be hard to make sense of the facts when it comes to first aid and basic life support skills. From first aid courses to articles online, there is a lot of information available, and it can be difficult to distinguish the facts from misinformation or myths. Follow along to find out real facts about cardiopulmonary resuscitation (CPR) and automated external defibrillators (AEDs) that everyone should know so that you can help save lives in an emergency situation. These simple facts cover the basics of what you need to know, and CPR/AED training will teach you all of the skills you need to know in order to handle a variety of medical emergencies. When a person is unresponsive, CPR must be administered immediately. CPR manually pumps blood to the heart and provides oxygen to the brain which prevents serious organ damage, brain damage, or death. The American Heart Association reports that when CPR is performed right away, a victim’s chances of survival are double, or even triple, what they are when CPR is not performed immediately. CPR is not intended to restart a heart. 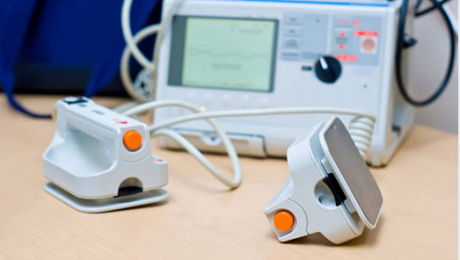 AEDs are required to deliver a shock that can restart the heart in the event of a cardiac arrest. Continue to perform CPR and leave an AED on and running, even after you’ve called for help. While an AED can provide a shock to correct fatal arrhythmias of the heart, these arrhythmias can recur, even after a shock is administered. CPR pumps blood and oxygen to the major organs in the body, but it only works while it’s being performed. Don’t stop treating a victim until a first responder like a fire fighter or EMT has arrived at the scene and is ready to take over.